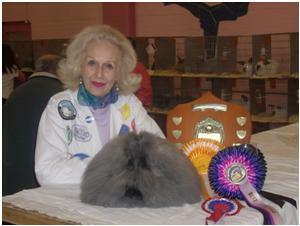 Willowcot Stud is the Angora stud of Yvonne Hobbs- Fothergill. 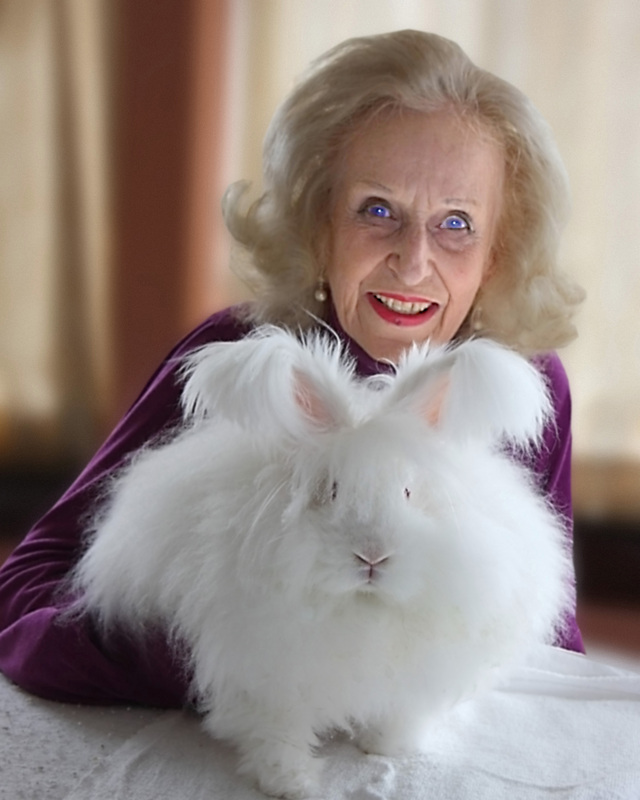 My love of Angora rabbits began when I became my grandmother’s apprentice at the age of two. 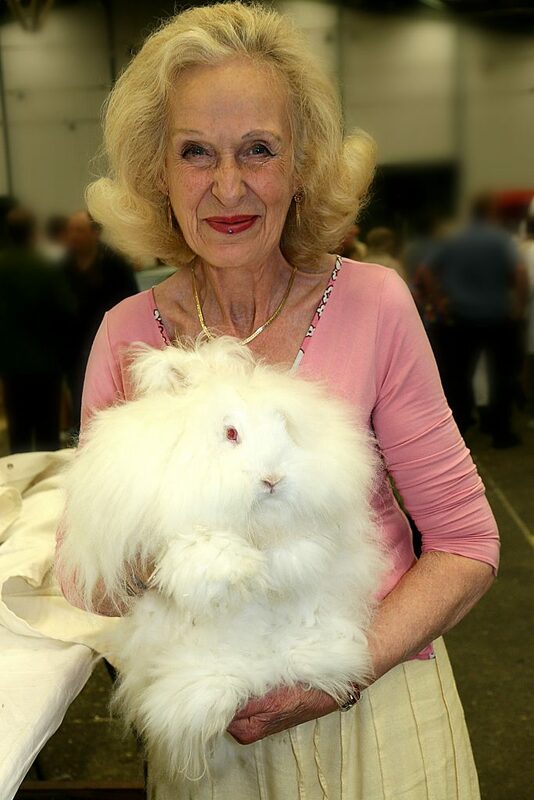 She kept quite a large zoo in her spacious garden comprising birds, fish, reptiles, primates and mammals of all kinds, but the Angora rabbit were the ones that really captivated me. Due to the South African climate she kept them in very large wire cages on the north facing back verandah of her house. 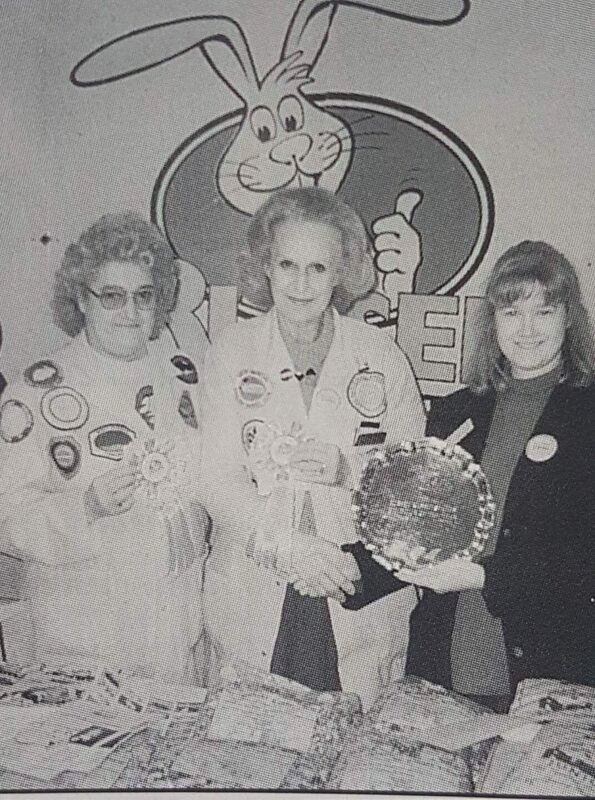 I was the only one of her eight grandchildren who was permitted to touch them. 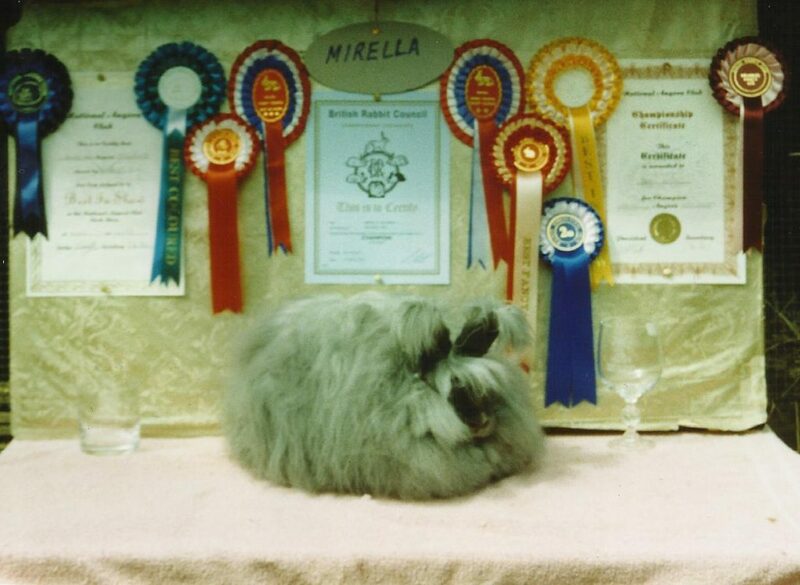 She gave me my first rabbit on my second birthday but imagine my disappointment when it turned not to be an Angora but a black Dutch! 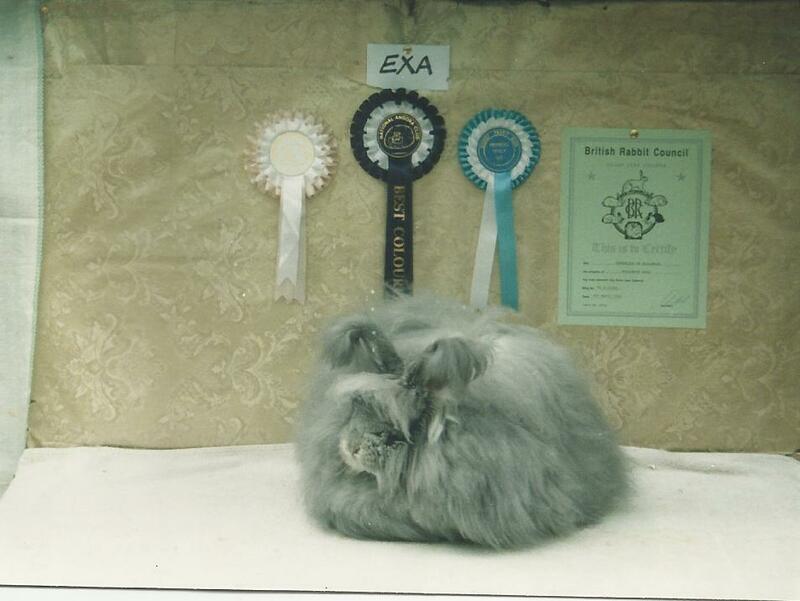 My knowledge of nomenclature at that age was not well developed so he was simply named Blackie. 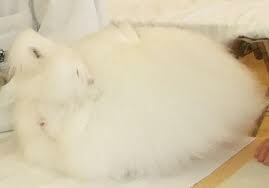 On every birthday thereafter I received a Siamese kitten, chickens or ducks – but NO Angoras which I still hankered after. 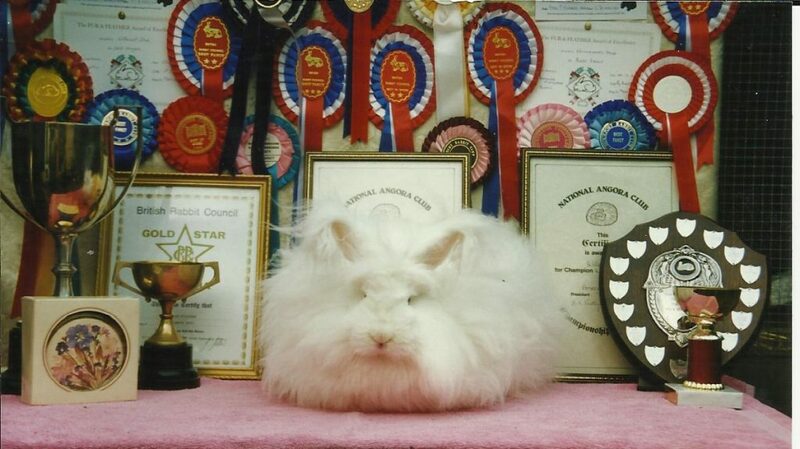 Of course I did not realise that the work involved in keeping an Angora would have been too much for a young child to master! Then, many years later, after living temporarily in the USA and Australia, we finally settled in England permanently where I immediately started my own zoo. 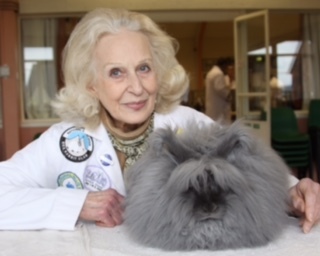 I saw an advert in the local paper for Angora rabbits and immediately purchased a white buck and a sable doe from a lady in Wales who had recently given up showing them. (It later transpired that they had come from the late Mrs. Pratleys stock!) 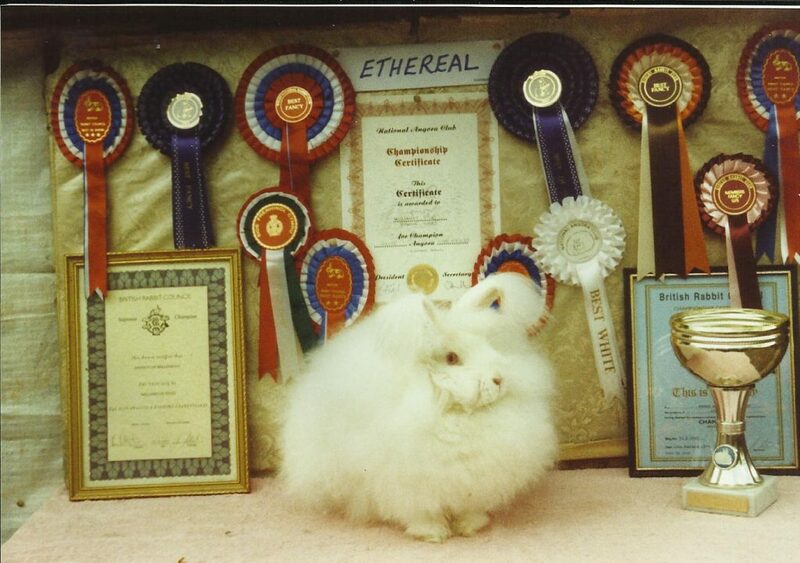 I bred them every spring, and with other purchases later from exhibitors eventually increased my stock to over 80! 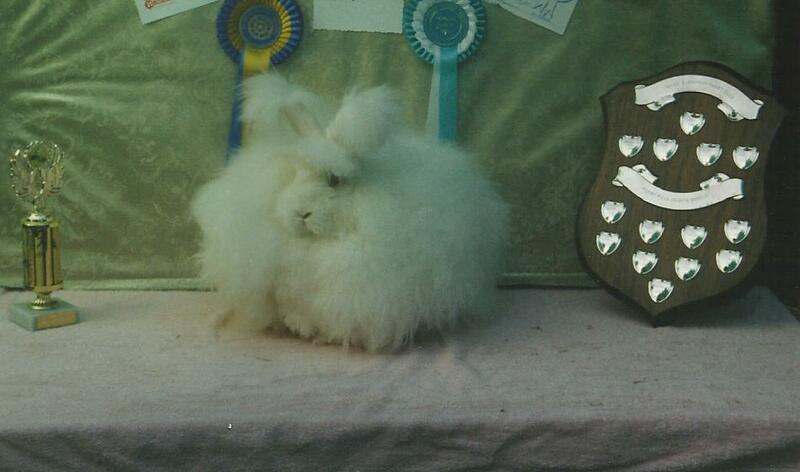 It was a very busy time as I had by then also accumulated nearly 200 rabbits of other breeds. 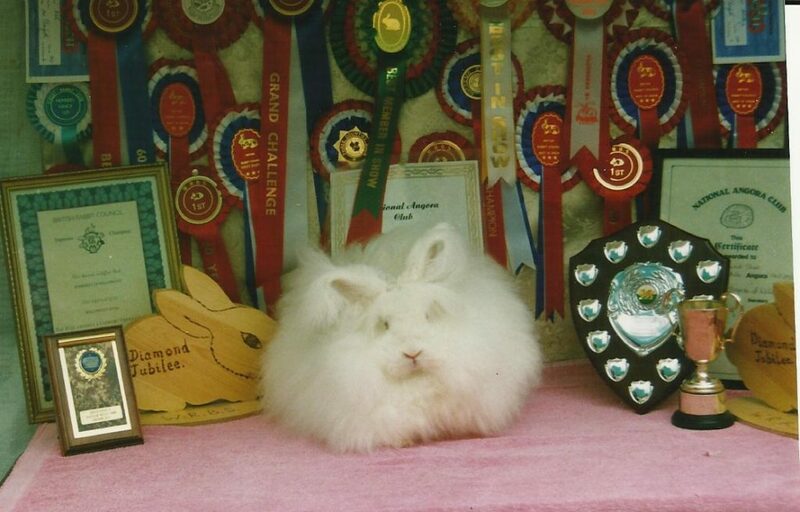 By chance, I met the late Vic Ingram, Secretary of Hereford Rabbit Club who, upon visiting me and seeing the rabbits, suggested I show them. 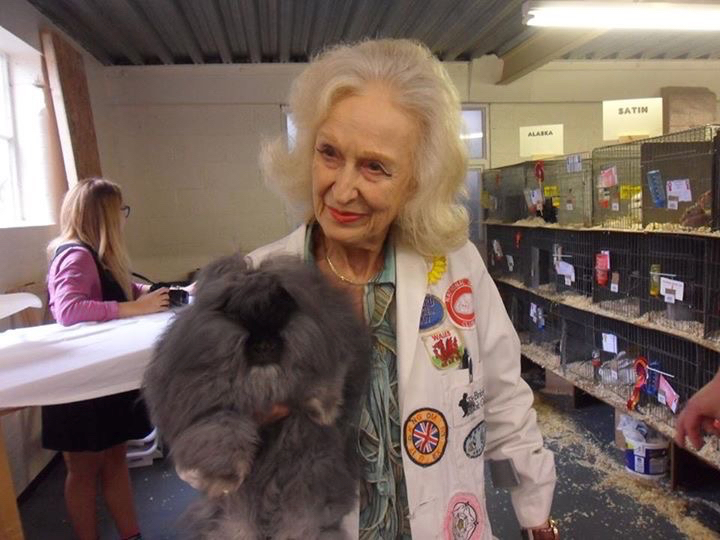 So I joined the BRC and at my first show in the south, where I had taken two Angora rabbits and others, I was lucky enough to meet the late Mrs. Barbara Pratley. 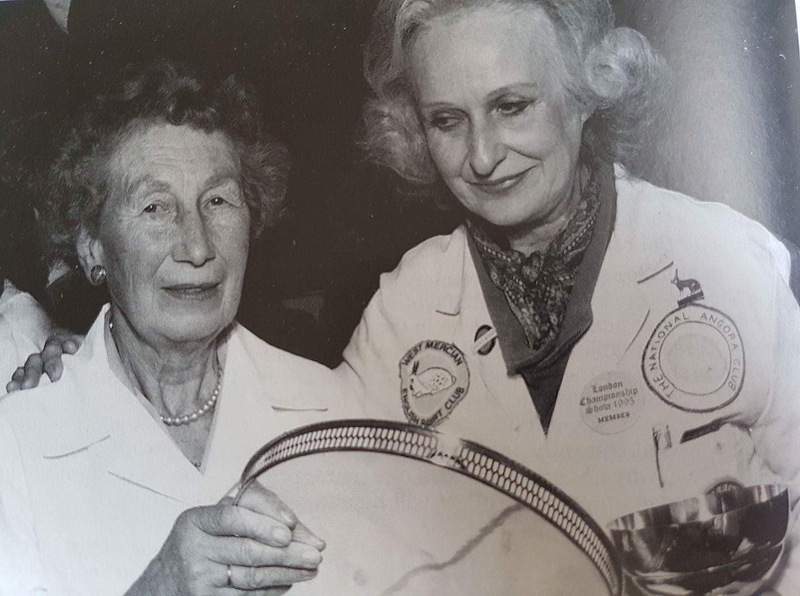 She took me under her wing and gave me many lessons on breeding, grooming and judging. We became firm friends. 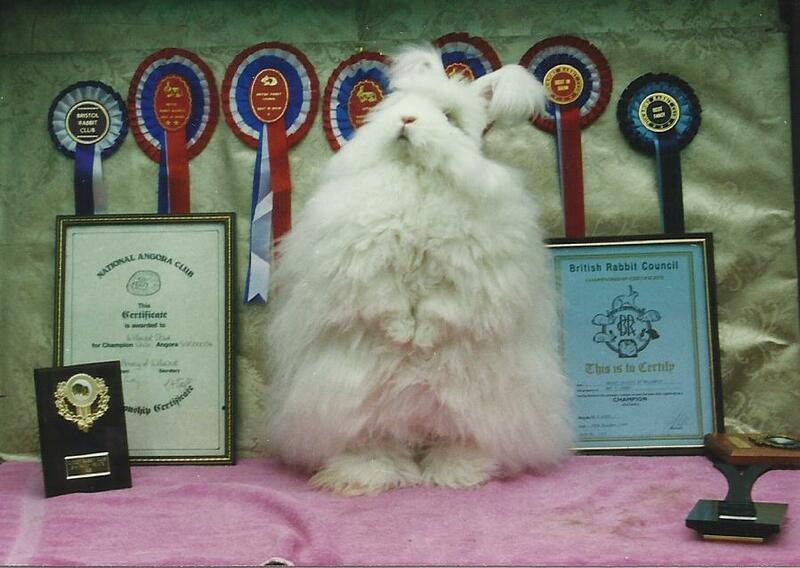 We co-edited an Angora Beginners’ Guide Book, and when she sadly died she left me all of her beautiful rabbits. 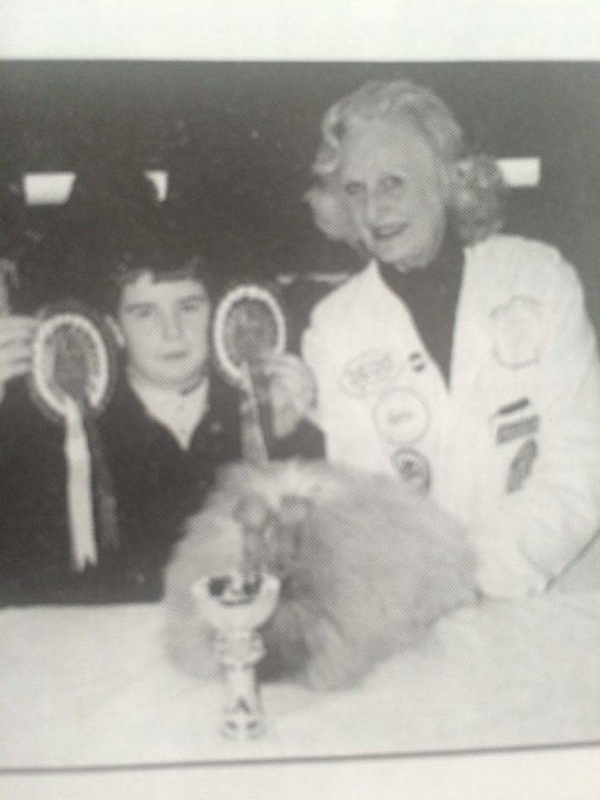 With Mrs. Pratley’s encouragement I managed to win nine Supreme Championships and very many BRC and Club Champions and have really enjoyed the experience. 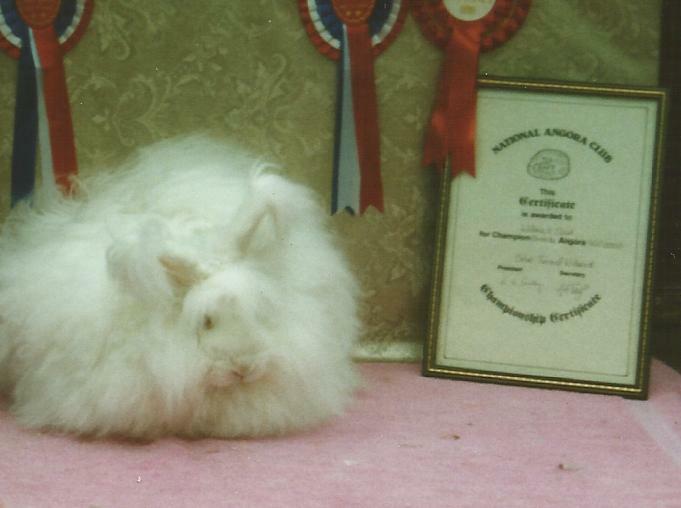 Now, many years later, I have been forced to cut down on rabbits and shows due to poor health, but it is a hobby I can thoroughly recommend, Angora rabbits are magnificent creatures with a temperament to match and there is surely no more wonderful sight than an Angora in full show coat, meticulously groomed. Posted 11/11/2017 by LH & filed under Members.